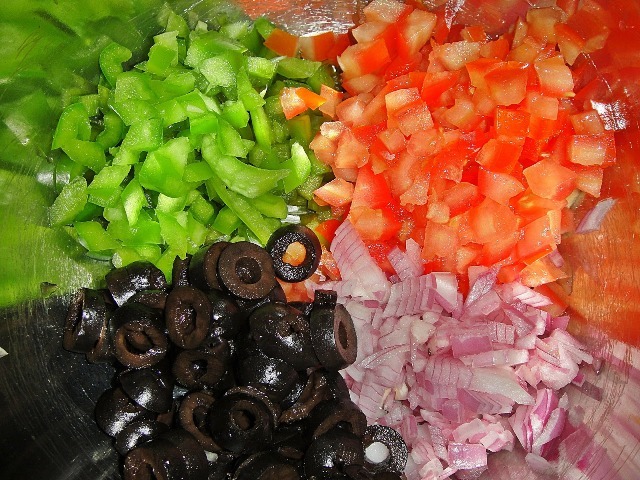 Prepare the vegetables by finely dicing the onion, capsicum and tomatoes (discarding its liquid). 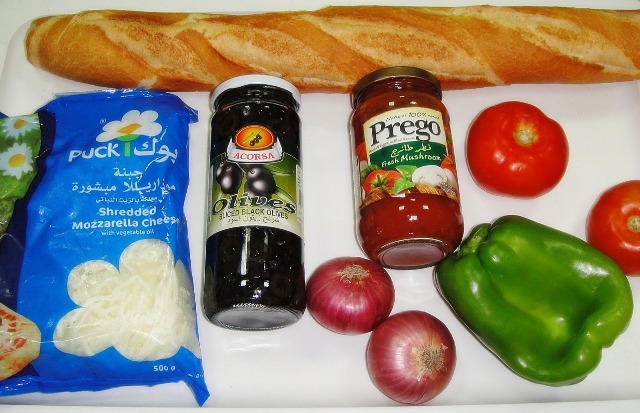 Mix the onions, tomatoes, capsicum, sliced olives, and crushed garlic, then season with the salt. 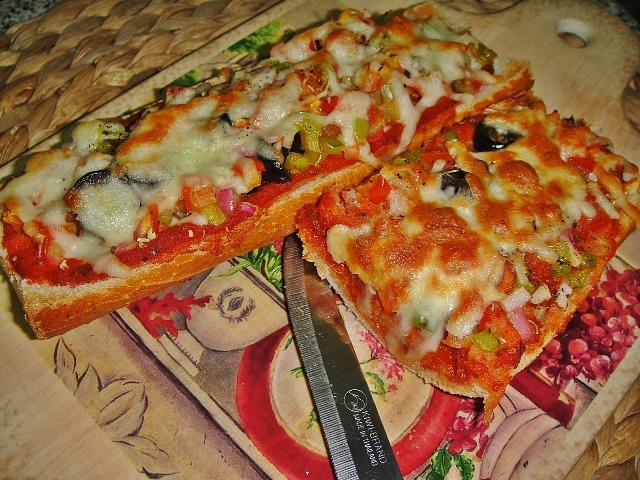 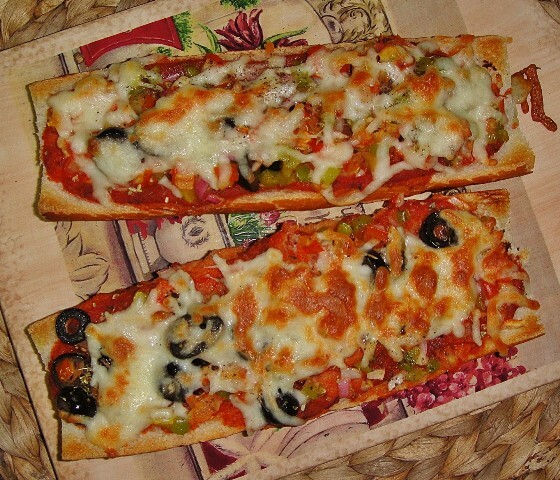 Cut the baguette into three equal portions, then cut each portion lengthwise in half. 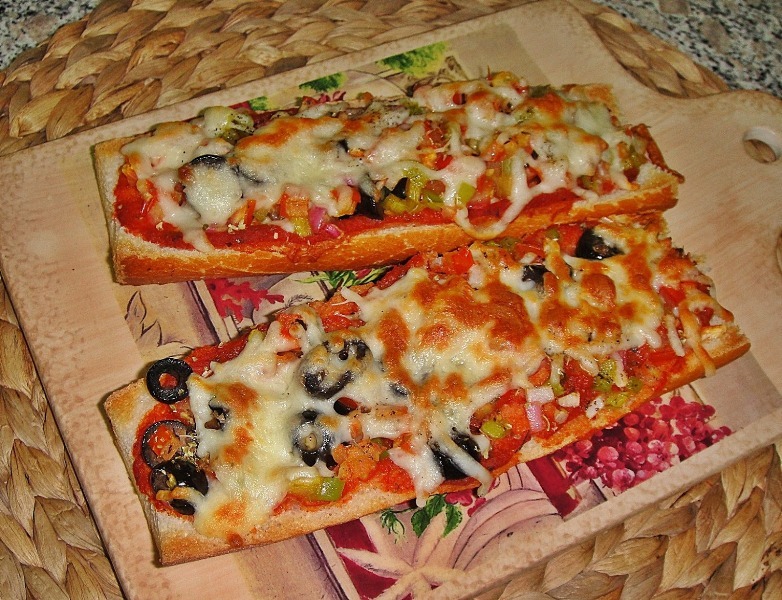 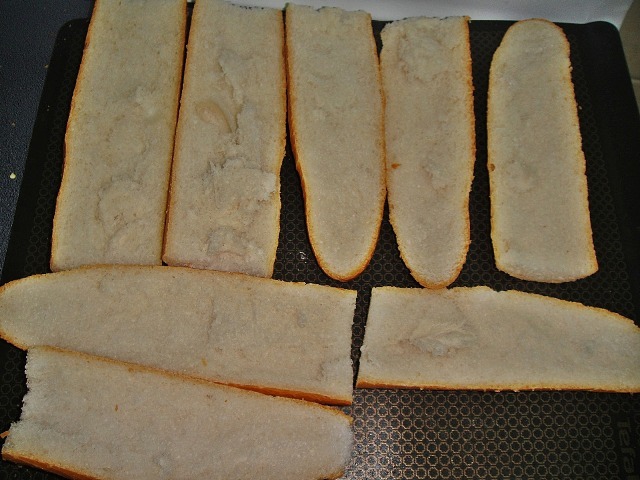 Lay the baguette slices crust-side down on a baking sheet. 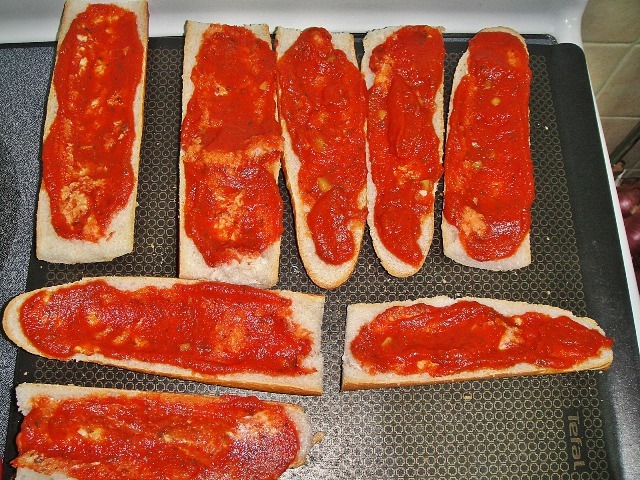 Smear with tomato sauce, then spoon on the vegetables, then sprinkle with the oregano and mozzarella, ending with a grinding of black pepper. 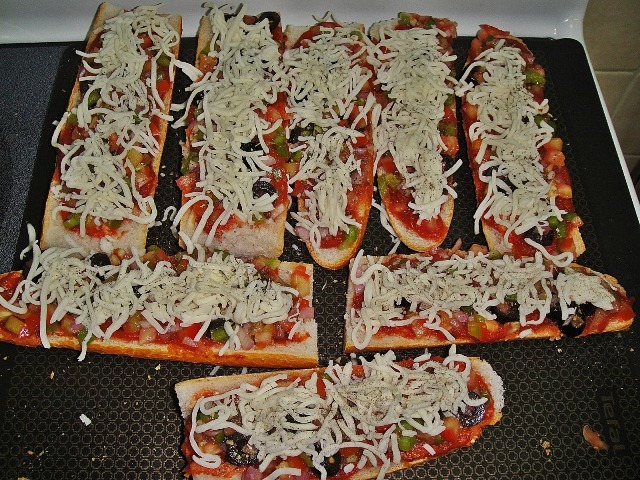 Bake for 15 to 20 minutes at 400F until golden crispy around the edges and the cheese is bubbly. 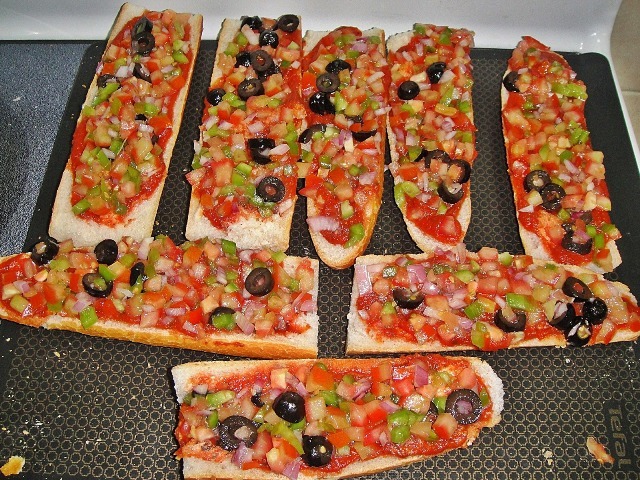 Let sit for 5 minutes before eating so you won't burn the roof of your mouth!